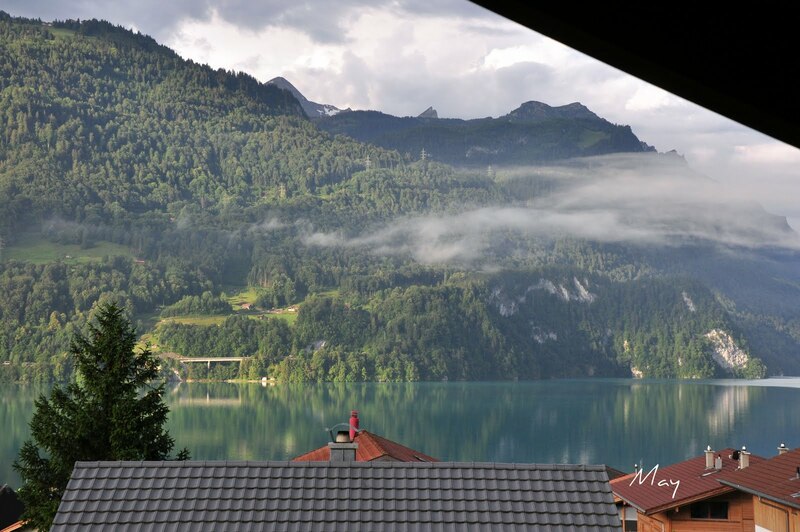 With Love from Lohr: Our Vacation home in Brienz, Switzerland. The best part for us, about living in Deutschland is the ability to be able to travel to other countries. 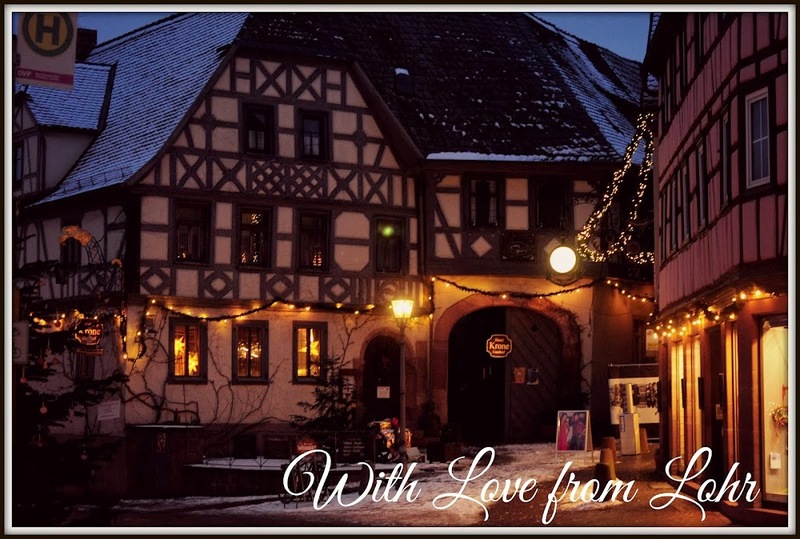 To our good luck, Lohr am Main is positioned so nicely on the map that we are roughly 3 to 4 hours away from the borders of the Netherlands, France, Belgium, Luxembourg,Switzerland, Austria, and the Czech Republic. Though it will be a dream come true to really be able to experience cultures in these different countries, am grateful for the fact that we are able to soak in and enjoy whatever comes our way. And one way of doing this is by living in a ferienwohnung or a vacation home as it is called. Not only do you get to experience living in an authentic home, you are surrounded by locals too, which gives you an opportunity to have a quick chat. Be it the baker, butcher, souvenir or a wine shop, people are curious to know about you, where you come from and love telling stories about their village or town and also have the best suggestions to give you, sometimes advice the tourist information may have overlooked. We discovered the joys of living in a vacation home by chance. Having got fed up living in crammed hotel rooms and paying double the price (quadruple rooms cost a bomb!! 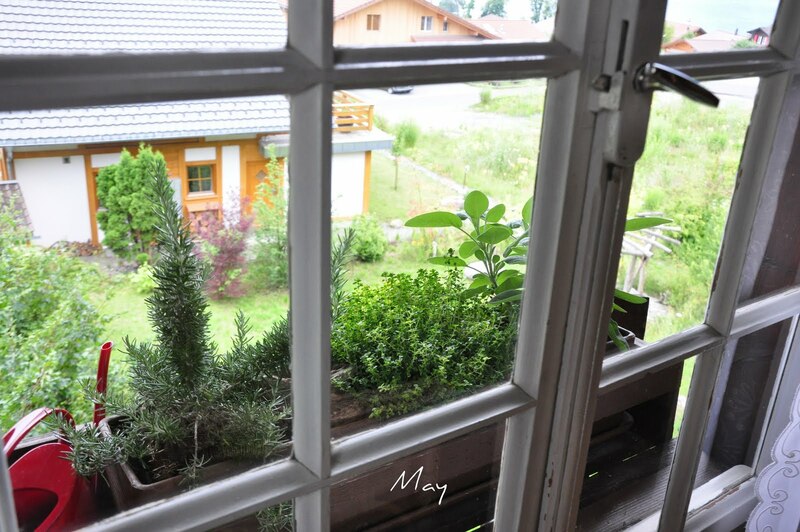 ), our first experience in a ferienwohnung took us by surprise. Not only did we have an entire house all to ourselves with the kids having their own room, we loved the fact that we could also have breakfast in our pajamas, the lazy way..:) There was no mad rush to freshen up, dress and run down before the breakfast counter closed!! Have a nice week everybody. 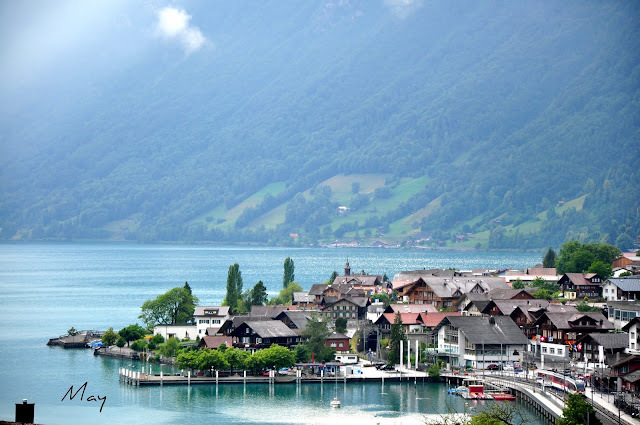 I hope to write more stories about our Swiss travel here on the blog!! 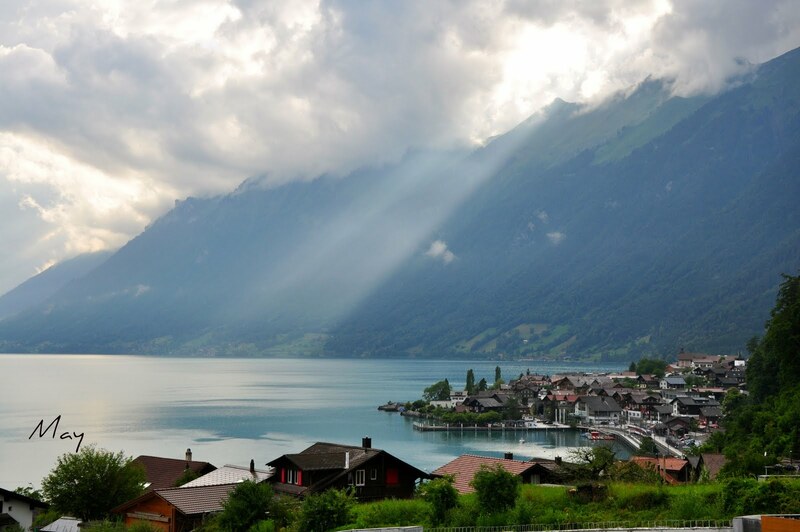 The village of Brienz is so pretty an artist might have built it. Thank you for remembering to take some photos. Big sigh! That's a little bit of paradise. Wow. Great, great holiday place.The place is truly paradise. Thanks for sharing :). really gorgeous! adding switzerland to my bucket list immediately, must go! It is like paradise, isn't it? 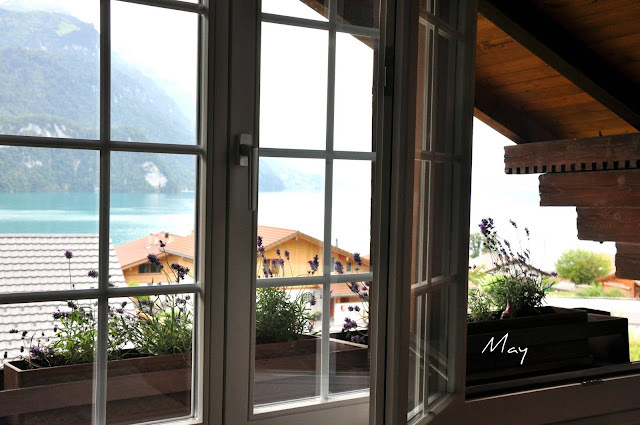 May, what wonderful moments you are sharing with your family. The photographs are beautiful and I'm sure being there is even better. 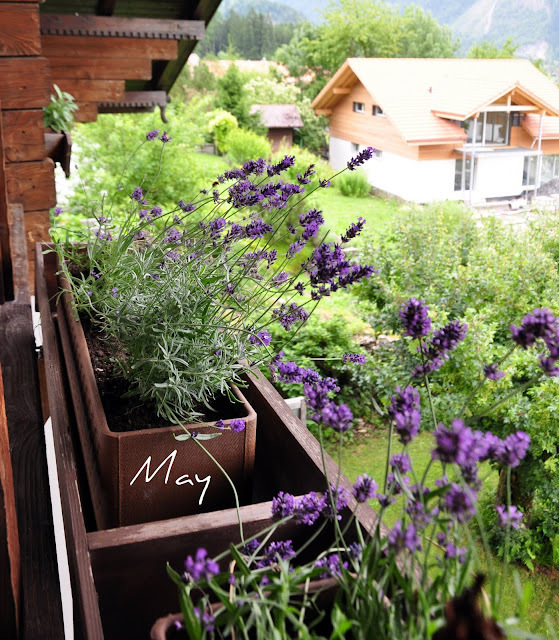 Everything looks so beautiful May! So different to the beauty of Australia. Wow! You are truly lucky to have experienced living in this beautiful vacation home! Its interior is well-design and furnished, and the house is surrounded by panoramic views of the crystal blue sea and the lush mountains. Everything in this place spells PERFECT! If I were there, I think I would have a hard time leaving the place!